Here is it - my first recipe post that follows my gluten free, dairy free diet. I would be lying if I said this wasn't difficult. I have never read so many nutrition labels with such concentration in my entire life nor have I had to pester so many waitresses to make SURE that smoothie has NO DAIRY (not even milk powder) in it. That's not even the hardest part, I think that titles belongs to having to say no to friends. To eat at certain restaurants, restrain from diving headfirst into their sandwich (still on the hunt for a good DF/GF bread) or just seeming like the weirdo with the nitpicky dietary concerns. Really though, it's not that bad. I haven't had to deal with this for years, I don't even know if I'll have to deal with much longer (doctor's appointment is on May 5th) and I live in Seattle. I think out of all cities to be gluten and dairy free in, Seattle must be one of the best. PCC, Metropolitan Market AND Whole Foods are my meccas now. Even Trader Joe's does a pretty good job (I'm a big fan of how well they label things). And you know what's even better? NO ONE knew these were gluten and dairy free until I told them! In my book, that's a a huge success on the GF/DF front. I brought them to the kickball game last week and everyone (the other team, the ref, my teammates) raved over them, asked for seconds and still contested that the fact that they were GF/DF free. Preheat the oven to 350 degrees F. Line an 9x13-inch square baking pan with foil and lightly oil the bottom. Using the double boiler method melt the dark chocolate and butter. Stir together to combine. Set aside. In a mixing bowl, beat the eggs on medium high till frothy. Add the brown sugar and beat until the mixture is smooth. Add the melted chocolate mixture into the egg-sugar mixture very slowly and beat well for a good minute. The chocolate will look smooth and glossy. In a bowl, combine the dry ingredients: almond meal, rice flour, fine sea salt, xanthan gum and baking soda; whisk together. Add the dry flour mix into the chocolate mixture one cup at a time and beat well for a minute. Add the vanilla and mint, beat another half a minute or so. Layer the chopped mint chocolate over the top of the batter and press them in slightly. Bake in the center of a preheated 350 degree F oven for 33 to 35 minutes, or until the brownies are set. 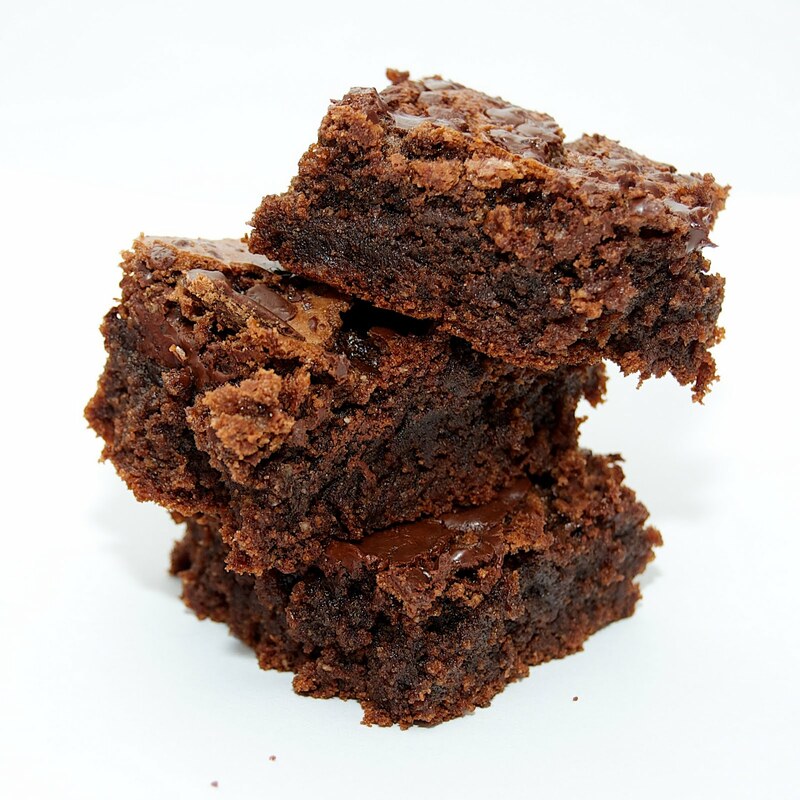 Don't overcook, gluten free brownies taste better chewy. Hey! You said you hadn't found a good gf bread yet, here's a really great site with a lot of gf recipes. There's a lot of resources out there! Anyways, this is a good recipe for gf sandwich bread. Hope this helps!